Gentlemen, this huge collection is all about real soap for real men. No toxic synthetic fragrances, no toxins of any kind ever. Just really good soap. Each bar is a full 4 oz. They are rich, sudsy, and get the job done. Campfire: this bar has finely ground coffee for scrubbing, and a blend of essential oils that include cedarwood, clove, cinnamon, cypress, orange, and spearmint. 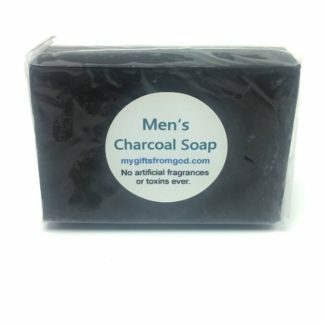 Charcoal: contains detoxifying charcoal with both lime and orange essential oils. 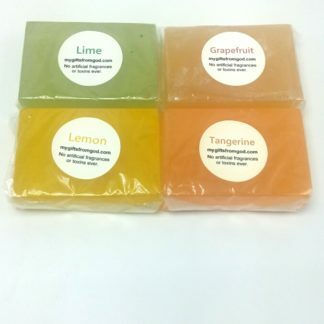 Citrus Mint: includes an essential oil blend of peppermint, lemongrass and grapefruit. Great to help you wake up! Forest: an intoxicating blend of herb and tree essential oils from the forest, that includes cypress, cedarwood, lemongrass, patchouli, rosemary, and rosewood. Grapefruit: a natural bar with grapefruit essential oil. Totally clean and fresh smelling. Java: chock full of organic coffee to give this bar real scrub-ability. Smells awesome too! Also has peppermint essential oil. 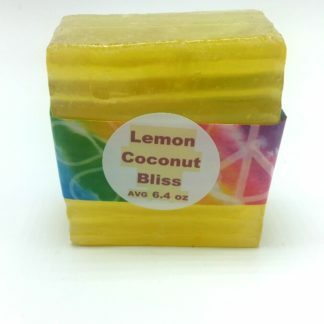 Lemon: a bright sunny morning soap with lemon essential oil. 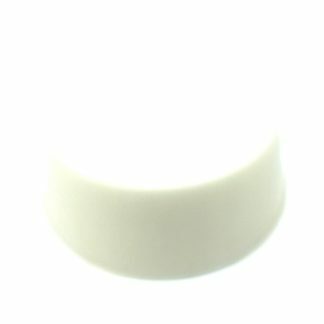 Lime: very intoxicating fragrance from pure lime essential oil. 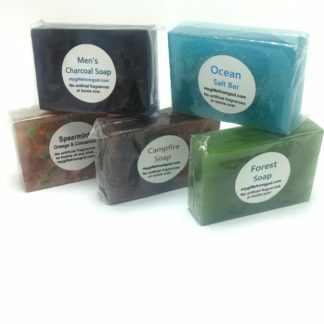 Ocean: this is soap and sea salt bar! Provides a good clean scrub with a fragrance blend that smells much like the ocean. 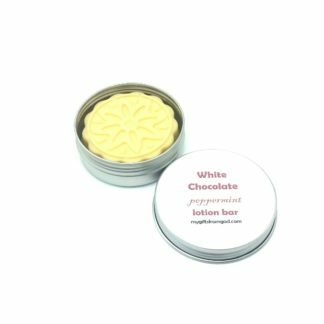 Includes geranium, lavender, lemongrass, and rosemary essential oils. Orange Spice: Really great fragrance from cinnamon, nutmeg, and orange essential oils. Spearmint: This one is for the guy that needs a little help waking up in the morning. Lots of spearmint, orange, and cinnamon essential oils. Tangerine: Smells like a freshly peeled tangerine! Very intoxicating. Best soap I ever used. 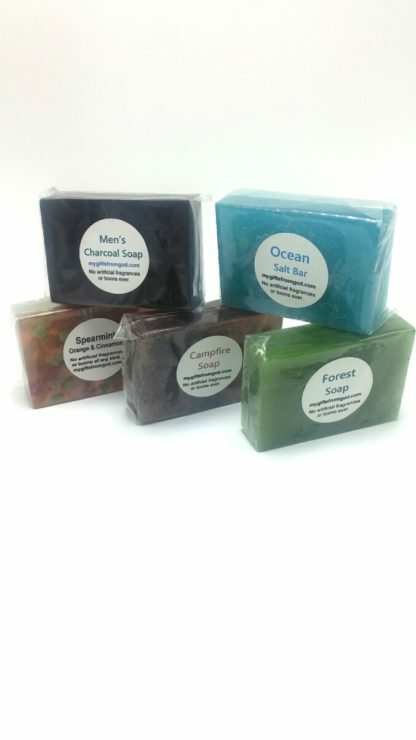 My favorites are campfire, forest, and orange Spice. This charcoal bar really cleared up my skin and has a nice earthy smell. Good soap. And the price is right. I bought this for my husband and I love it as much as he does. It really does smell fresh like the ocean.